So I answered a few questions for the lovely Handmade NI blog about what inspires me and my return to work! Go check it out! 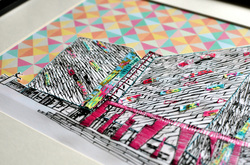 For those of you who don't know I am currently resident in Studio Souk, Spires Centre, Belfast.... a fab little collective of creative minds where you can browse, shop and see people working in the space. I have a little selection of things available from there and do a monthly market on the first saturday of the month, next market is 7th June! So as part of the Giro Start 2014 Studio souk had a hub in Writers Square and did a cycle chic fashion show, on bikes no less round the city centre! My giro piece was featured on a t-shirt on one of the models, and they all looked fab! 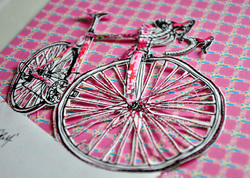 As a little thank you to you all for all your support, I am giving away a small print of my giro bike.... It measures 12x17cm image size and fits in an ikea frame ;o) As all of my prints do! (a little known secret- all of my prints do, just to make life a little easier!) If you pop over to facebook and like my page, comment on the post, and share it you will be entered into the draw for a special edition giro print! Giveaway ends Wednesday 14th May at 9pm! Prize will be posted or can be collected! Finally getting round to writing my first little blog post! Sorry it has taken me so long! Its been a busy few months! 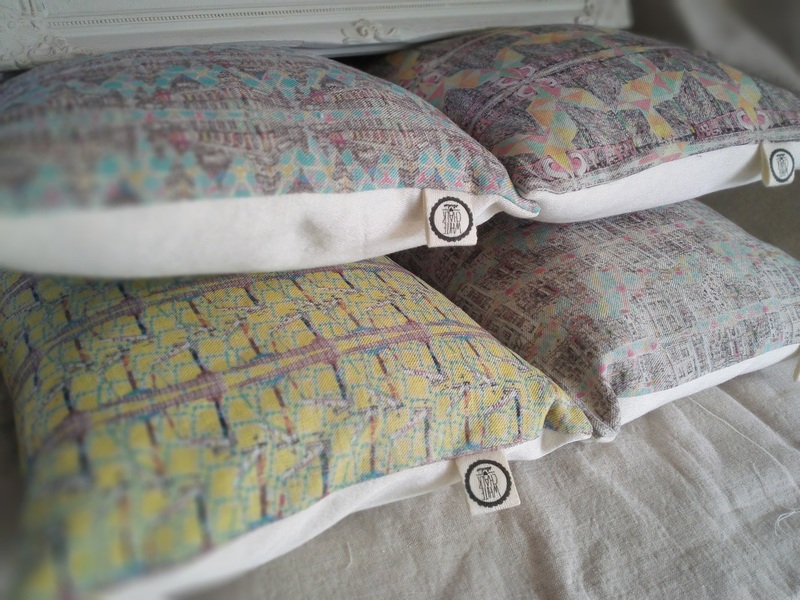 So I'm Lisa, I'm an interior designer by trade and mummy to two beautiful little ladies, and I am White Chalk Studio! Thanks for stopping by... I appreciate your support and love creating pieces that people will cherish for a long time! Titanic..... a new piece just completed of my first modern building! I love the way it has turned out, and hope you do too! Giro.... this is a piece I have been working on for the Giro 2014, I wanted to create a illustration of a bike that would look a little vintage and pretty whilst being relevant to the Giro! Prints and bags are now available... and I am going to be doing a little print giveaway as a thank you for all your continuing support! I managed to get down to the finish line in the city centre on saturday afternoon and it was just fab! Brilliant atmosphere! Copyright © 2017 White Chalk Studio All rights reserved.